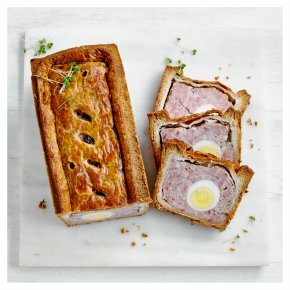 A traditional British favourite, Gala Pie contains the perfect pairing of delicious cured pork and free range egg, encased in crisp shortcrust pastry. Served cold, it's the perfect no-fuss pie to feed a crowd, ideal for parties and picnics. Serve alongside a selection of salads, cheese, your favourite pickles and chutneys.